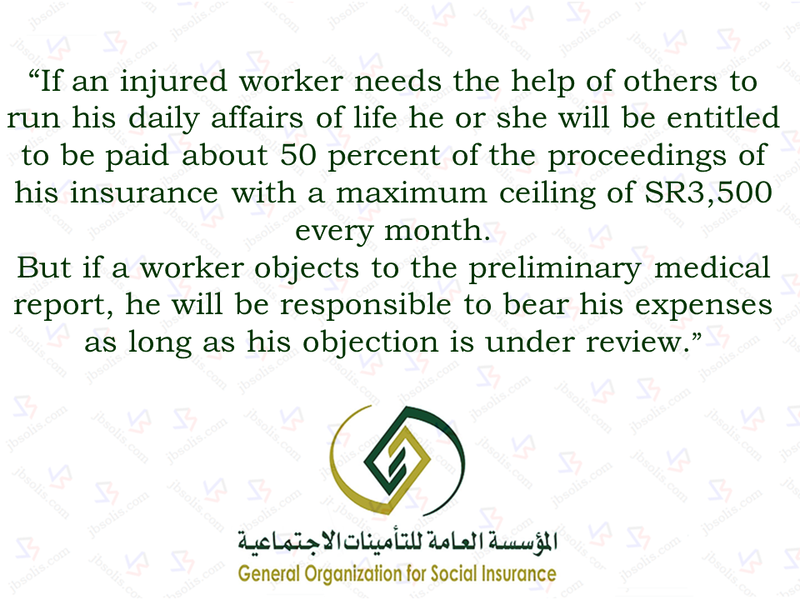 The General Organization for Social Insurance (GOSI) has reiterated that it will bear their cost of living should any expatriate worker got injured while doing their duties. “If the objection is accepted, the worker will be compensated,” GOSI said. 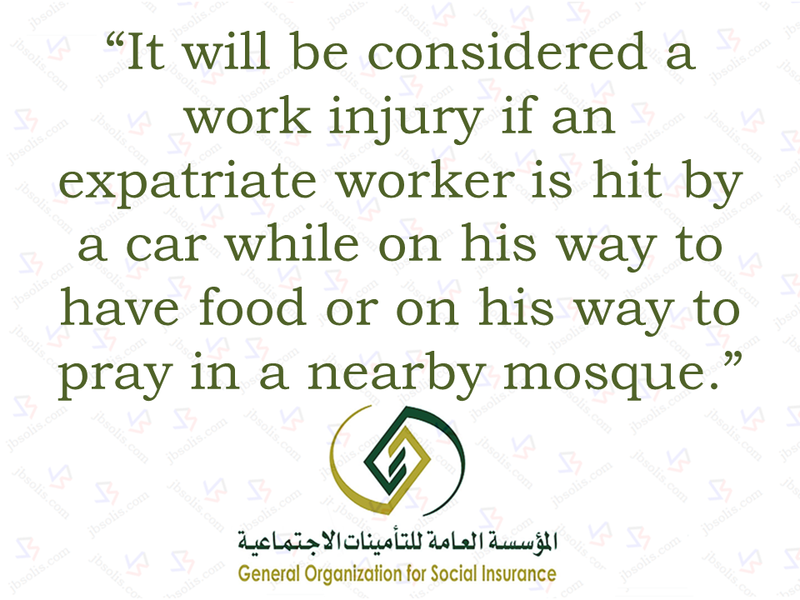 GOSI said that it will be considered a work injury if an expatriate worker is injured in a traffic accident while on the way to work place or from work going back home. 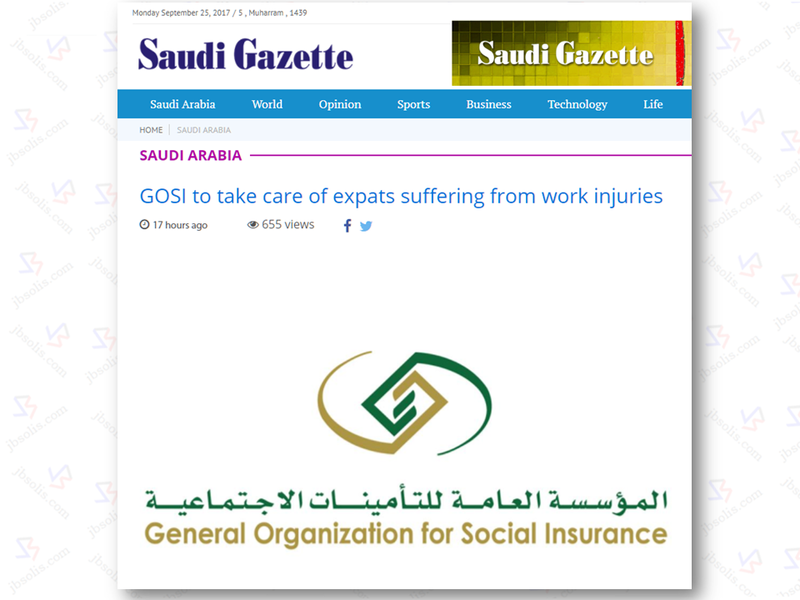 If the accident resulted to death of the expat worker, GOSI will also pay the cost of repatriating the dead body of an expatriate worker . This will include paying the cost of Ghusl (washing) and other expenses. 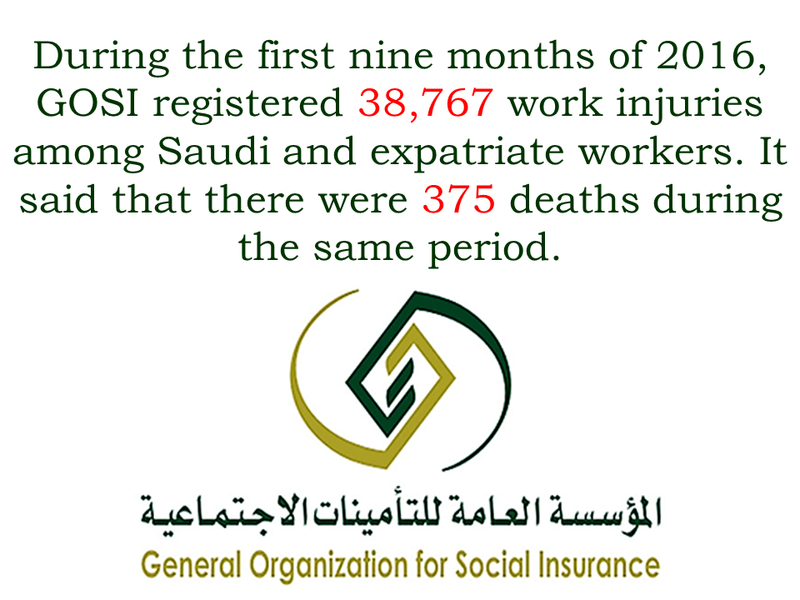 GOSI’s figures shows that there were 10,502 work-related injuries during the first 3 quarters of the previous year who were undergoing medical treatment. Nine hundred and twenty of them has already recovered while 128 have already died.